These solar systems produce electricity which you can use to power your lights, TV, washing machine and other domestic appliances. Not only does this reduce your electric bill, the government scheme called the Feed In Tariff ( FIT ) will pay you for all the electricity you produce as well as separately electricity you export to the grid. Solar PV is a renewable energy system which uses photovoltaic modules on the roof of a building to convert light into electricity. Voltaic cells are made up of thin layers of semi-conducting material (usually crystalline silicon) which generate an electrical charge when exposed to direct light. 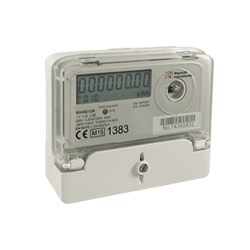 Sunlight is free, so once you’ve paid for the initial installation, your electricity costs will be reduced. Solar electricity is a green renewable energy and doesn’t release any harmful carbon dioxide or other pollutants. A typical home solar PV system could save over a tonne of carbon dioxide per year – that’s more than 30 tonnes over its lifetime. How many PV panels will be required? For certain planning requirements a minimum 1.5KW is required – approximately 6 panels – but typically between 12 and 14 panels is most common as this will fall under the 3.64KW limit for DNO applications and provides a useful level of potential generation for powering appliances throughout the home especially the heating of hot water. 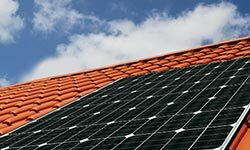 Is there a good southerly facing location where solar panels can be installed? Solar panels will work best if facing directly south at a pitch of between 30 to 45 degrees, but will still perform if their orientation is any where from due east to due west. 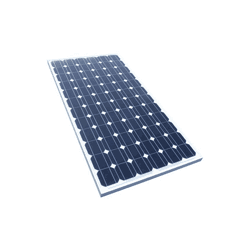 Panels are often installed on roofs, either pitched or flat roofs, but can also be installed on the ground. Will the panels be impacted by any shading? Will the panels be impacted by falling leaves? When installing panels on a pitched roof are they to be fixed over ( on roof system ) or in place of the tiles ( in roof system )? 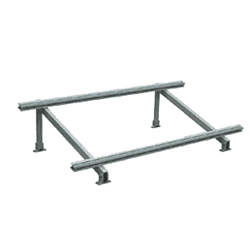 An ‘on roof’ system uses roof hooks that fit under the tiles and to the roof structure without disturbing the tiles, so the panels and rails sit 150mm – 250mm over the tiles. An ‘in roof ‘ system sits level with the tiles, replacing the tiles and utilising a flashing sheet to provide water tightness of the installation. Its important to consider the orientation of the panels to the sun for maximum solar gain and the impact of any possible shading from nearby trees or buildings Powernaturally can advise on the best panel choice and orientation to achieve your maximum solar gain. Do I get more electricity in the summer when its hot? The panels work on light not heat – so they will produce more electricity in the summer months due to the longer periods of days and more likely hours of sunlight. It is important that the panels remain clean and free from leaves as this can impact the performance of the panels. How long can I expect the system to work? 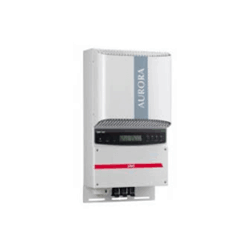 As there are no moving parts with a PV system you can realistically expect a system to last at least 25 years. We can provide expert advice tailored to the particular needs of your project.